Today, the incomparable, multi-platinum, multiple Grammy award winning global superstar Mariah Carey (the best-selling female artist of all time with 18 Hot 100 #1 hits) shares a new song entitled "The Distance" [feat. Ty Dolla $ign]. 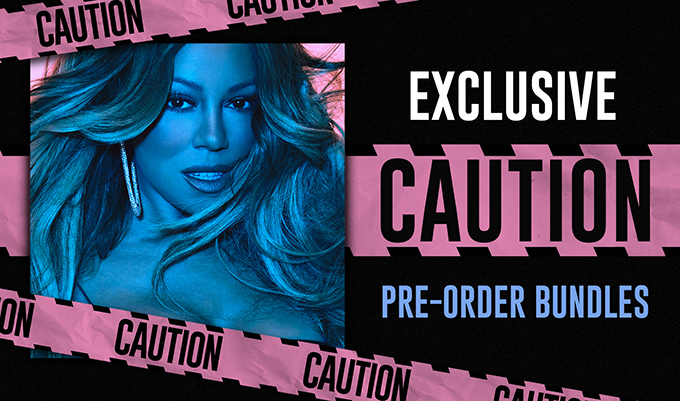 Earlier this week, she revealed November 16th as the release date for her anxiously awaited 15th full-length studio album, Caution. The digital pre-order unlocks downloads of "The Distance," recent single "With You," and the first teaser track "GTFO." "The Distance" sees Carey spread her wings yet again. The track's expansive production builds in cinematic fashion as a pep rally chant roars in the background. Soon, the singer's immense vocals take hold, delivering yet another legendary chorus befitting of her canon. Meanwhile, West Coast R&B titan Ty Dolla $ign lays down a smooth cameo as the perfect counterpoint. The new song arrives hot on the heels of Mariah's new single "With You,"which has already clocked over 2.3 million Spotify streams and 2.7 million YouTube views. Meanwhile, "GTFO" remains a phenomenon in its own right with 5.1 million Spotify streams and 5 million YouTube/VEVO views. Caution… Mariah Carey is back and better than ever.